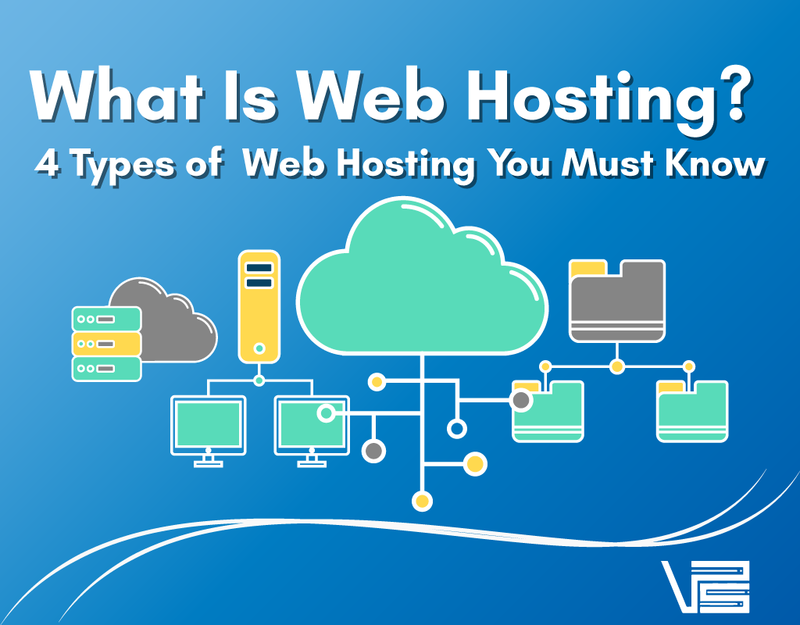 Home / Posts tagged "types of hosting"
There are 4 types of web hosting in today’s market. A web hosting, or web hosting service provider, offers the technologies and services required to host a website. These websites are hosted on a mother computer, called servers. In today’s market, small, medium to large businesses benefit from the services of web hosting in terms of expanding their network of clients. The Internet is a useful virtual environment that allows businesses to reach both local and international customers. On top of that, it is generally easier to close a sale on your own business website compared to your business Facebook Page, due to the less amount of distractions available on a website. With the cPanel feature you get from web hosting, your business can prompt more sales (e.g. when launching a new product) to existing clients using newsletter marketing. 5.0 How To Pick A Server That Best Suit Your Needs? There are several types of server hosting, typically in the forms of shared hosting, dedicated server, virtual private server and cloud server. Each one has its own advantages and disadvantages from the aspects of specifications and pricing. And, to choose the one that best fit your business or personal needs, you must first understand the pros and cons of each types of server hosting. Let’s get down to knowledge! Shared hosting is a type of web hosting service, where multiple users or websites are located on ONE web server, while sharing the same server resources. Imagine living in an apartment. There are multiple, separate residential units located in ONE building. However, all these residences would share common apartment facilities, such as the swimming pool, gym, badminton court, etc. Users of a shared hosting have their websites hosted on the same server, and they also share the same server specifications and resources, including CPU, RAM, memory, disk space. The advantages of shared hosting is it’s ease of use. Shared hosting are usually managed by the server company, and so users do not need to worry about security, upgrades and maintenance. The disadvantages of shared hosting however, is a lack of server control and performance. Users generally have no root access to the server. If the server is down, all the websites hosted on the same server would share the same downtime, that generally translates to the loss of profits. As we always say, don’t put all the eggs in the same basket. Shared hosting is also difficult to scale, since the resources are shared. Say for example, if you wish to have a new gym equipment in the common gym room, you’d have to go through several rounds of discussion with everyone else in the apartment building, which takes too much time and effort. Data security is also not guaranteed. When one website is infested with viruses or invaded by hackers, the rest of the websites would be affected too. A dedicated hosting, or dedicated server, is a type of web hosting service that rents out an entire server to a client. You will not be sharing the server with anyone else. It is like living in your own house. You don’t have to share the property with anyone. And you have full rights and access to the server resources. You are free to configure the hosting environment to the exact specifications that suit your needs and wishes. The upside of dedicated hosting is rather obvious. You have access to superior performance. Of course the performance aspect would still depend largely on the specifications of the server. However, because you’re not sharing the server resources with anyone, websites hosted on your dedicated server would run faster and smoother. Naturally, your data is more secure since no one else have access to your dedicated server. On top of that, a reliable web hosting provider offers a quick and easy problem-solving through a professional 24/7 customer support team. The downside of having a dedicated server is that it requires you to have a certain degree of technical knowledge in terms of maintaining a server. So, a dedicated server is not at all recommended to a beginner. A dedicated server is also one of the most costly option among all server hosting. A Virtual Private Server or VPS is a virtual environment that runs on its own Operating System (OS), typically on Linux or Windows. Unlike a dedicated server that operates fully on one mother computer, the mother computer of a VPS is divided into multiple compartments. Think of living in a low-density condominium. Although these compartments share the same server, the server specifications and resources are allocated individually and separately for each compartment. Hence this makes VPS a more affordable solution compared to a dedicated server. The pros of a VPS hosting is that users still have access to great server performance, despite a more affordable price. It also offers more data security compared to shared hosting. Plus, users get individual access to root server and the freedom to customize your own VPS. However, this freedom of a self-managed VPS comes with a con. That is, you would need a certain degree of technical knowledge in order to configure the server. It could be rather difficult for a beginner who just started learning. But, some server hosting companies offer managed VPS, so you wouldn’t have to worry about managing or maintaining the server. A cloud server is a type of web hosting service that is built, hosted and delivered through a cloud computing technology. Cloud servers have similar capabilities and functionality compared to a typical server, but cloud servers are accessed remotely from a cloud service provider. Think of renting a room from AirBnB. You rent the property for individual use. And you may be sharing property resources with the rest of the tenants. But unlike shared hosting, cloud hosting is built on more servers, hence you have the access to more server resources. The benefits of cloud hosting is its great reliability. Not to say that cloud computing never breaks down, but malfunctions rarely happen. Cloud hosting is also extremely scalable and flexible. You can upgrade your server specifications to expand your use at anytime and anywhere you wish, since it can be accessed remotely. Cloud computing is not expensive at all. With the rapid technology development and a competitive market, cloud servers are not only getting more reliable, it is also becoming more affordable for commercial uses. The only drawback of cloud hosting is that you would need advanced knowledge in server hosting in order to setup. However, at VPS Malaysia, we strive to provide you a convenient cloud hosting solution. It would only take you less than 5 minutes to set up your server without any prior technical knowledge. Just follow the step-by-step instructions on how to access your VPS provided by our welcome email upon completing your purchase. Whether you’re running an e-commerce business, or you’re a service provider, a website is a necessity in today’s market. A website engages your business audience in immersive story telling, shows off your portfolio, showcases your services/products offered, and generates profits from closing sales. So, having a website is definitely a must. But how do you pick the type of web hosting that best suit your needs? Shared hosting is best suited for blogs and personal sites, that showcase your artistic designs or fashion styles. VPS hosting is best suited for small to medium enterprises, whose website expects a certain amount of visitor’s traffic. VPS is also suitable for Forex traders who trade using Electronic Advisors (EAs). Dedicated hosting is best suited for large businesses that expect high level of data security, as well as a huge amount of visitor’s traffic to the website. Cloud hosting is great for any businesses. With the advanced technology and a competitive market, you generally don’t have to worry about having no technical knowledge about server hosting. A reliable web hosting service provider offers you the solution of having a convenient cloud hosting experience. At VPS Malaysia, we never oversell our cloud VPS. We don’t boast our reputation. If you’re not convinced, here, sign up for a 30-days trial. If you’re unsatisfied with our services, you can get ALL your money back in 30 days.